Improving the city’s schools is a process that’s far from complete. But the public school system is in a good position to continue the work, without a state-appointed monitor overlooking the process, say education officials. Contrast that sentiment with 2009, just five years ago, when the prospect of a state takeover of the city’s public school system loomed large. In a letter and a 91-page report from March of that year, Massachusetts Department of Elementary and Secondary Education Commissioner Mitchell Chester wrote to then-Mayor Robert Correia that he had been ready to declare the Fall River school district underperforming. Data showed a large number of Fall River students under-performing and failing on the Massachusetts Comprehensive Assessment System tests. But it wasn’t just students who were failing; there were shortcomings in the system itself, too. “I was concerned up and down the line,” said Chester, who spoke with The Herald News recently. After reviewing the district in January 2009, state education officials found ineffectiveness in several areas, including governance by the School Committee, and that the district had been lacking in its central administrative capacity, lacking a human resources director and a chief financial officer. That ineffectiveness trickled down into the schools themselves, state officials said. But because Correia had requested DESE review the district, Chester stopped short of recommending a takeover. Instead, he recommended the district adopt a recovery plan and a state-appointed monitor to oversee progress made on that plan, quarterly. Now Chester and other education officials say the district, which in 2012 moved from a recovery plan to an Accelerated Improvement Plan, no longer needs to be monitored and can continue the work of improving student performance on its own. The announcement came to the School Committee when it met last Tuesday. Before 2009, the district already had a long history of poor student performance on MCAS tests. It was on watch, from 2004 to 2007, by the state’s former Office of Educational Quality and Accountability. By the time DESE issued its report, there were more concerns than just student performance. “Our key concerns were around governance, and leadership in the district,” Chester said. “We were watching a School Committee that in our estimation was not focused on the right things.” He defined “the right things” as taking the actions needed to help the district improve student achievement. Chester said he was further concerned about the committee’s conduct during that time, and what he said was its second-guessing of Superintendent Meg Mayo-Brown, who had been months into her appointment as acting superintendent. A few months later she received a full-time appointment, a title she has held since. Chester said he was “concerned about whether the School Committee was going to give [Mayo-Brown] a chance to be successful. Former committeewoman Marilyn Roderick, who sat on the committee for a decade until 2011, said there was friction among committee members at the time. She saw the involvement of DESE in a positive light. During the recovery process, committeeman Joseph Martins on occasion made his grievances with state education officials clear. By 2013, School Committee governance was the last piece of the improvement plan that had to be finalized. “It’s unfortunate it took as long as it did,” Costa said. Former committeeman and former Fall River Schools Superintendent Rick Pavao said it “took some arm-twisting to make members realize we’re a policy-making board. “And we came together because we got on the same page,” Pavao said. “Each time we’ve presented a need for a resource in order to meet the goals of the recovery plan, the School Committee has ultimately supported those resources,” Mayo-Brown said. Chester said he now sees a different district in Fall River, one that is more focused on student achievement. Mayo-Brown said even without direct DESE oversight, “there’s still a lot more that needs to be done. We’re engaged in that work. “The department simply feels that we have the structures and systems in place to support the improvement of our schools,” Mayo-Brown said. The results of the work by educators in the district had been a long time coming. “For each of the past five years, when our results come in, it’s like, oh almost there. They haven’t quite come together yet. But we stayed the course, and we knew that eventually, it would come together,” Mayo-Brown said. While Fall River is still in the “middle of the pack” of urban school districts in terms of students’ academic performance, Mayo-Brown said student growth the past few years has outpaced that of the state, enabling the district to gain some ground. Mayo-Brown said she would like to see Fall River rise to the top of that group. “As long as we keep that acceleration growing, you’ll see us aggressively climb to the top performing urban districts, because we’re outpacing the state and we’re outpacing our urban peers,” she said. Ingram said the work between committee and superintendent is far from over. Martins last week said that while he’s “happy that the Department of Education has taken away the stigma of being watched,” he is not convinced enough progress has been made in improving student achievement to achieve a previous state-set goal for narrowing proficiency gaps. Martins used an analogy of running the Boston Marathon to explain his position on the district’s progress. “The first year, you don’t quite make to Heartbreak Hill. And the next year you make it half way up the hill. “But the goal is crossing that finish line,” Martins said. Others seem focused on the progress that is happening. Mayo-Brown said the district’s culture has become more student-centered. Social and emotional learning have become components of teaching. Left out early in the recovery process was teacher input in schools’ decision-making, Mayo-Brown said, “because we had to make decisions quickly and demonstrate to the state that we could put ourselves on this path. “We’ve gotten it to where it is now. But we will plateau unless teachers get very involved in shared decision-making around what needs to happen,” Mayo-Brown said. She said the community wants its children to succeed, as well. Fall River offers a more affordable tax rate than many other cities in Massachusetts and there’s plenty to love for young families within the city limits, too. Surrounded by well-preserved green space, a school system that makes certain our children and families are well supported, we are maintaining a rural, family-friendly place to live, work and play. Can an investor (an owner who doesn’t live on the property) obtain a loan under the HOME Program? The HOME Program offers rehabilitation and acquisition loans to investors who are willing to provide decent, affordable housing to income-qualified households at rents set by the Department of Housing and Urban Development (HUD). It can be a single-family property, multi-family property or rental condo, but there are environmental reviews, federal requirements (Davis-Bacon Act, labor standards) and limits as to how much government money can be invested. What are the qualifications to obtain an Investor Rehabilitation loan? The participant must own the property with an approved form of ownership. Any lead paint must be abated, and the property must be brought up to code. What are the rent and income limits? The rent limits are the same as the Section 8 rents set by the Department of Housing and Urban Development (HUD). These HUD issued rents include utilities and are based on the number of bedrooms in each unit. There is a formula to calculate rent if the utilities are to be paid by the tenant. When investor rehabilitation is involved, if a property has 1-4 units, all tenants can be charged the High HOME rent. If there are more than 4 units, 20% of the units are to be Low HOME rent. There are income guidelines for initial occupancy, based on household size, for the homeowner and any tenants living in HOME-assisted units. The rent and income guidelines are updated by HUD annually. The term of the loan runs concurrent with the affordability period up to 30 years, and is dependent upon the amount of HOME funds borrowed and the ability of the borrower to pay it back. 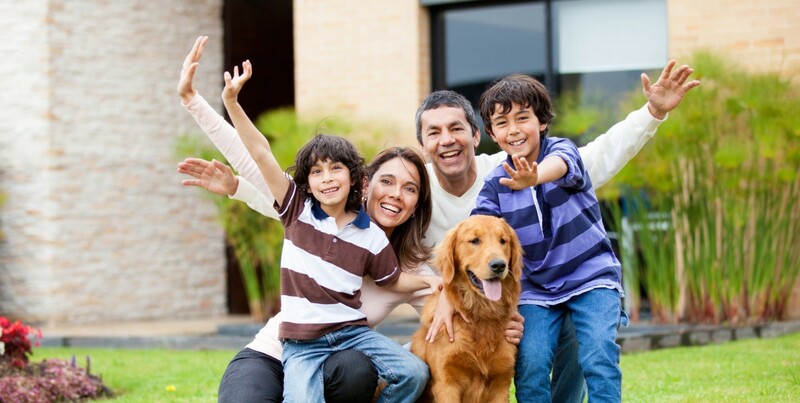 The homeowner’s insurance is verified annually during the term of the loan. There are periodic inspections to make sure the property is kept up to code for the duration of the affordability period. If applicable, the landlord must provide our agency with tenant certification of their rents and their incomes (including proof of income) every year on the anniversary of the completion of the project for the duration of the affordability period. The affordability period remains with the property until the expiration date; it cannot be discharged with the mortgage at time of sale or transfer of the property. What types of repairs are eligible under the HOME Program? We do not grant funds as such, but some of our loans qualify to be deferred to a point of forgiveness given that the restrictions have been adhered to during the affordability period, as well as other requirements of the program. Loan will revert to a grant. Does a commercial building qualify? Does a mixed-use building qualify (part residential/part-commercial)? Yes, but any commercial portion would be pro-rated. Example: A 3-tenement with a store-front on 1st floor—both 2nd and 3rd floor apartments can be rehabilitated with HOME funds, but not the store on the 1st floor. If the roof was being replaced or vinyl siding was being installed, owner would pay one-third of the cost at time of loan closing. Yes, but the contractor must be licensed for the type of work to be performed, insured, and registered with the state. We also require a bidding process—we like to have at least 2 bids, but prefer 3. Normally the lowest responsible bidder is chosen, but if the owner selects a higher bidding contractor, the owner must pay the difference between the bids at time of loan closing. All bids come directly to our office sealed, to be opened at a pre-determined date and time. Yes, an application fee is required in good faith, but it is refundable upon closing of the loan. Who inspects the work to make sure it’s being done properly and everything is brought up to code? We have a rehabilitation specialist in our office. He/She performs the preliminary inspection, and writes up the in-house specifications and cost estimates. The contractors’ bids are based on the in-house specifications. The rehabilitation specialist also performs all inspections during the course of the project and makes certain that all work is up to code and falls within the specifications. He/She is available to answer questions of both the contractor and the property owner. Check to verify that your income and desired property cost are within MassHousing’s limits. Questions on the steps? Visit www.masshousing.com for answers, or to reach out to a member of our team. Have your attorney review the purchase and sale agreement. Use the inspection as an opportunity to learn about your home.